Note: This link only seems to work on desktop browsers, sorry! If you own a 4K Blu-ray player (or an Xbox One S), here’s one of the best deals we’ve seen for building up your movie library. 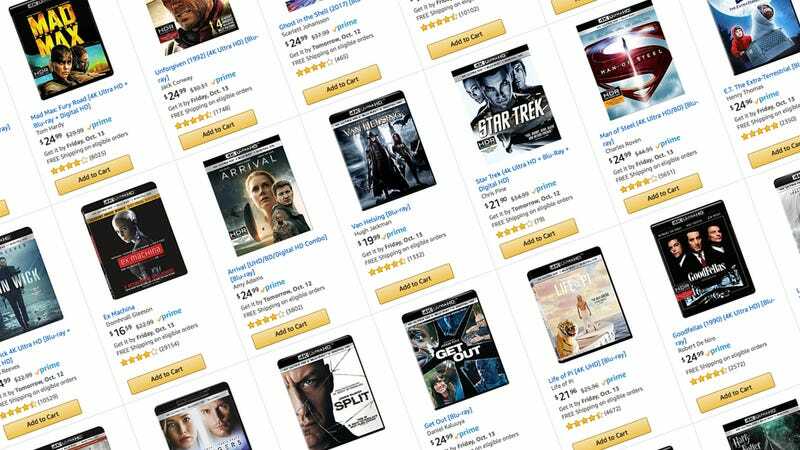 Just pick any three films out of the 145 on this Amazon page, and no matter what they cost individually, you’ll only pay $50 at checkout (so long as they’re all shipped and sold by Amazon directly). Most of them also include regular Blu-ray discs, and digital copies too. My picks, based on both quality of the film and how much they’d benefit from a 4K upgrade: The Martian, Mad Max Fury Road, and Star Trek, though I could be talked into Ex Machina.